Content is crucial in today’s advertising world. Perhaps 20 years ago you could have gotten away without creating content that aids in your marketing campaigns but excluding it today would be disastrous to your marketing efforts. With the advent of the internet, more businesses choose to incorporate various forms of content in their marketing campaigns. Many different platforms are available for you to choose from to display yourself – it would be wise of you to take advantage of this strategy to boost your exposure. You will need to rely on various outlets with which you can distribute content that will entice the right consumer to choose you! How did you company come to exist? Do you have a way to present your start-up story that people will listen to? This is a very important piece of content that could be very relevant to your consumer and can persuade them to pay you a visit. Before pulling out a sheet of paper and your trusty ink pen, think about what you want to highlight in your story. There are a lot of stories out there and a lot of businesses trying to utilize a good story to attract attention to themselves. Think thoroughly of how you will present this in a unique way that will make you stand out among the competition. Incorporate ideas or events that lead you to start your enterprise. Take them on your journey that got you where you are today. Believe it or not, people enjoy hearing these things. Did you encounter any hurdles along the way when taking those first entrepreneurial steps to being your own boss? A well developed story will build an emotional bond between you and your reader. This can be your foundation on which you build your other content to attract and inspire the consumer. Creating a game plan is essential to success anywhere. You and your employees need to be aware of the best course of action to get your business to its goals. Formulating a content strategy is no different. Find all the best ways you can guide your reader from problem to the solution. What path will you take when planning? Creating a business plan for yourself is a good way to start formulating a content strategy. Evaluate yourself and what you are offering to your consumers. Treat your content like a product you’re trying to sell. Incorporate your content with your product or services you offer. Make one compliment the other; as one gains traction, the consumer will be exposed to the other as a result. Identifying objectives is essential when coming up with any strategy. You can’t think of doing something without decided on what the outcome for your actions will be. Going into product development, starting a business or content creation without a clear objective is like throwing darts at a dart board blindfolded. Formulating clear objectives for yourself gives your actions a clear destination of where you and your business should end up after implementing changes or strategies. Creating SMART goals is vital for any successful strategy. Set S.M.A.R.T goals for your business. It’s the best away of creating objectives for yourself and your employees to help your business progress in the right direction. S – Specific: When you create your goal or an objective make sure you are being as specific as you can be. You don’t want to leave anything up to interpretation for yourself or your colleagues. M – Measurable: The goal or goals you make for yourself should always be quantifiable. Turn it into numbers you can measure and compare. Avoid making vague goals such as “I want to boost my sales” or “we need to increase our revenue”. Those would be bad objectives to create for yourself. “I want to increase our revenue by 6% by the end of the third quarter.” That would be a much better goal to set for yourself. A – Attainable: Worst goals of all are the ones you have no chance of completing. Not only will this negatively impact your and your employee morale, but your objective will just be out of your reach. The goals you set for yourself should be within your grasp. R – Relevant: Goals in this case are only meaningful if they are relevant to your business. Sure, you can set many goals you want, but if they are irrelevant and have no direction they will not advance your business forward. Make sure you are staying true to your business and the brand you’re trying to cultivate when making these goals. T – Timely: Set yourself deadlines for goals. Goals with no end in sight are a time waste and can actually hinder your business progress. Make sure you’re keeping up with deadlines and not pushing them off constantly. Be honest with yourself and stay committed to the created schedule. There are a variety of tools you can take advantage of to help you track progress and productivity. They will really come in handy when you are dealing with multiple colleagues and need to track goal progression. Simple solution to boost team productivity. Dapulse is an easy to use collaboration in-browser software that can prove to be useful for you and your team. Using Dapulse, you will be able to create SMART goals for yourself and other people and track their individual progress on each of those goals. Effective software that enhances productivity and helps manage goals. Float is another collaboration and goal tracking software that can help your business pave a path to success. Manage tasks and delegate them among your team. This collaborative platform will keep you informed of all the pertinent information regarding your business goals and business development. A simple and a free way to find the latest trending content within your niche and share it to your social media directly. ShareIt is a free content curation and discovery tool to help you find the right content within your niche. With it, you can find content your customers are guaranteed to like, schedule it for your social media directly, and watch your engagement rise. Ever hear of a saying “knowledge is power?” Well this is where gathering the right information will make you a powerful content developer that will help persuade your consumer to come back for more.. The more information you are able to muster up, the more effective your content development efforts will be. Knowing all the pain points and values your customer finds important will help you push individuals to take action that will benefit your business. Thorough market research will enhance your content strategy. As a business owner this will be a never ending task for you. Market research is essential to staying on the top of the competition and changing consumer behavior. Demands in the market are dynamic and don’t stay in one place for too long. If you put off market research, you might just be shooting yourself in the foot and not even know about it. Be aware of the business climate in your area and prepare to act; the market says jump, you ask ‘how high’. Look at your ideal consumer. Do you know who they might be? Buyer persona should be created before making any marketing or content development plans. You need to imagine the perfect content consumer you want to attract. Who would it be? Go into extreme detail when trying to create the buyer persona. This will help you hone in your strategy on how you deliver your message. Every business has threats that they have to deal with on a daily basis. They exist now and will continue to exist. You will need to be versatile and adapt yourself and your strategy constantly to avoid potential threats that can hamper your business progress. Threats can range anything from changing government regulations, to new competitors moving in next door. Don’t sit idly by with content creation. Remember to always track the potential business hazards that can hold you back. Staying versatile and well informed will help you mitigate damage that comes from any new and existing threats. Trends can always be taken advantage of momentarily; ride this train. The sooner you are able to identify new trends popping up in the market, the easier it will be to get your foot through the door. Awareness is essential in this area. Consider this, trends may not always stick around. If you wait too long to establish a way to take advantage of a trend, the ship might have already sailed or too many people have already sunk their teeth into it. There is no point in creating content or even thinking of a content creation strategy without figuring out a way to attract attention to it. Marketing will be a big part of your content strategy. Identify which channels to tackle when implementing a content strategy. Not all channels are created equally, so be wise with your approach; you don’t want to spend too much time and resources on the channels that don’t reach your audience. The ways you can use to present your story are almost limitless. You can make infographics, a short video, talk about your content on a podcast, etc. Being versatile on how you present your story will help connect you to your consumers on different levels. Don’t limit yourself, because that just limits your ability to interact with people and forge valuable relationships. Effective and easy way to reach new consumers. Redistribute your content in new ways. Users always have a variety of ways to consume it and you’re more likely to reach new audience along the way. You have to consider that there will be a lot of viable individuals that can take away useful information from your content; they just don’t all look in the same place. Repurposing allows you to export the same ideas and principles across many channels to help you spread the word efficiently. Using this strategy you will save yourself or your content creator a lot of time while also exploring new outlets for your content. If you have a brick and mortar establishment that is great, but I doubt that you would bother staying open 24 hours a day, 7 days a week. A website allows you to do just that! Acquire business any day of the week, at any time! A web page will continue to do business and display your content while you are watching TV or enjoying a vacation with your family. 29% of businesses in the US don’t have a website. You should if you haven’t already, create a web page for your business; don’t be part of that 29%. Having a website is not only a great way for you to sell your products or a service, it’s also a great marketing tool that should be utilized to it’s fullest. When creating content for your business, a well maintained website can be one of the main outlets for you to publish content on. Take note when designing a web site for your business – make sure it’s mobile friendly! More and more web traffic comes from mobile sources such as cell phones and tablets. In fact, mobile traffic has surpassed computer based web access. Social media has the potential to reach a massive audience. Content will need many mediums for you to place it in. Social media offers a variety of outlets for you content to exist in and gather the needed attention from the consumer. Your social media outlets that contain your content will be intertwined with your website and your other business related functions. Imagine your business being a lake or an ocean, and your website, your social media, your blogs are all just small rivers leading to a large body of water that’s your business. Social media has huge variety of platforms that you can utilize. Each one comes with its own strengths that can compliment your content in different ways. Video content will be distributed differently than for example text or images. If your primary content are images you may want to use Instagram, Flickr or maybe Twitter as a platform for your content hosting. Videos can be incorporated well on YouTube, Vimeo or even Facebook. Text based content can be hosted on FaceBook and various blogging platforms such as WordPress or Tumblr. Avoid incorporating too many social media platforms. You may think that having access to all the platforms available to you, your reach will be enhanced; in reality, that can work against you. Depending on the type of content you have to offer and your overall business, some social media outlets will be more relevant to your consumer than others. Identify the most prevalent social media you will use and adapt your content to fit it. Trying to incorporate too many social media outlets will dilute your content efforts and will compromise your quality as well as your business integrity. When we discussed the buyer persona, try and identify what would be the most effective social media channel to reach that individual. Focus on the few most relevant platforms and see how it effects your reach. In the very beginning, building up a follower base for you to reach out to consistently is hard and can be a costly endeavor. There are people out there who have already built up a following that can be of great service for you and your content. Influencer is an established individual who has a large following of people on various networks. They can advertise a lifestyle, products, or content for companies, big or small. Utilizing influencers is a shortcut your business can take. Reach out to a large base of social media followers without sacrificing precious time and resources on acquiring followers. This is a potentially useful outlet for you to help reach your content consumer. Online ads are the new billboards, you’re just targeting a different sort of traffic. Some banners companies use to advertise content and products. Most of you have already encountered these if you ever use the internet. Banner ads are exactly that, banners on web pages that link you to page they are advertising. These ads can be effective but they don’t target the specific groups or demographics. It might be tricky to attract leads that convert to content consumers. This is essentially casting a big net to catch consumers who aren’t actively seeking you. Pay-per-click is how you are charged for this service. Depending on your user conversion rates, this might be a great option for you. If your clicks don’t convert to consumers then you might want to put this off on the back burner. Example of text based ads. Text ads are just text boxes on sites. Another common form of online advertisement. They contain no pictures just a link and text describing the content you have to offer. You typically see these on the tops or the side of search pages. These may prove to be more useful to you since these are targeting specific people based on the search criteria they have entered into the search engine. One potential source for your online advertising. With Google AdWords your exposure is targeted with your keyword selection. Keywords that are typed into the search engine by a user that match your selected keywords will bring up your ad. Google rewards long term users with better ad exposure. Check out more info pertaining to Google Adwords here. Similar to Google AdWords, these two search engines also offer banner and text ads that will be displayed when matching keywords are entered. The ad exposure isn’t as high as Google AdWords since more users tend to flock to Google, but their options may be a little bit more cost friendly to you. What do Facebook and LinkedIn have in common? People who use those social media platforms actively upload their own information. This is where things get interesting. Since these two social media giants store so much personal information about millions of individuals, the advertisement options will be more successful in narrowing down the consumers you want to reach. Facebook will offer ads that are targeted on a more personal level. The information that can be found on Facebook varies greatly – anything from the city the person is born to the location he or she last visited. Advertising on Facebook will allow you to target the consumer based on more specific, individual variables. LinkedIn is a more professional social media networking platform. Many people use this to make valuable connections and develop relationships that they can later incorporate into their business or find a potential employer. The information that is gathered in LinkedIn is more tailored for marketing campaigns that are actively trying to reach out for other companies. Ads that are placed on this platform are perfect if you are looking to build B2B relationships. Well developed content will have people talking about you. Good content will speak for itself! Part of the content strategy is just creating good content that markets itself to the content consumer. When you read something or use something that is great and provides a valuable service to you, you wouldn’t hesitate to recommend it to your friends. That is your goal when creating content for your organization. When I mentioned to you the buyer persona, you have to appeal to it through your creation. Connect to your perfect consumer on a personal level and they will gladly dedicate their time and money to you. They will also be spreading the word of your quality to their relatives and friends. Taking advantage of SEO will attract much needed attention to your content. Search engines are one of the main, if not the main source of traffic generation to a site. With the help of SEO or search engine optimization, you can help search engines find you and display you based on relevance and reputation. When building your content strategy, think of what information your content will contain and what the person is going to type into the search engine to reach it. This is really important because based on those factors you will establish credibility with the search engines enhancing your exposure. SEO does not offer instant gratification. It takes consistent effort to build up your search engine exposure. Don’t be discouraged if you are not at the top of the rankings after a few weeks or months. Evaluate your content strategy, analyze the keywords that one would search for to reach you and your relevance. With consistency and relevant content that your users find useful, you will see yourself move up the search engine ladder rewarding you with increased traffic. With SEO is mind, you might be thinking “I should probably shove as many keywords as I can in the content”. I strongly advise you against doing that. Going that route will not only damage the quality of your content but the search engine bots will know what you’re trying to do. Present your content with a human reader in mind. Keywords should be considered and incorporated into the content you have, but quality and readability should be of utmost importance. Knowing who is visiting and from where is vital. Being aware of where your traffic is coming from is incredibly important. Having access to this information will lead you to continuously make the right decisions as you implement changes for your content. Always stay informed of who and what is bringing traffic to your content.. What social media channel is the most effective for your web site? If you change something, look at how that impacts site traffic. Are you getting more views? Are people coming in and spending considerable amount of time consuming your content? If the metrics are positive after you implemented a change, you know you did the right thing. If your metrics show a drop in traffic or people spend less time on your page than before, you know you might’ve done something wrong. When creating content strategy for your business, keeping tabs in your metrics will help improve your content planning and its exposure. You will know what to amend and change in your approach as you gather more vital information from your tracking tools. Simple and free to use web traffic tracking application. Google Analytics provides you with a code for you to copy into your landing pages of your website. That code will actively monitor the type of traffic you receive and from where it arrives. These analytics will also inform you of how long users have been spending on each one of your pages and where they go to next. Many people use internet on their phones these days; phone traffic won’t be excluded from being captured by Google. It will inform you of what operating software the phone is using from which your site was accessed. You should be aware that some ad block browser extensions may block Google Analytics from tracking user data. It could lead you to have some holes in your data. Around 26% of internet users reported to using ad blocking software. Just something to keep in mind. There will always be room for improvement. Don’t think that you’re perfect just yet. A good business will always listen to its customers and find ways of enhancing the experience to please the consumer. Keep in mind that listening to your consumer can be greatly beneficial. Not only it makes them feel important and included in the process, but also will give you a way to improve yourself in ways you didn’t think about before. Feedback will enhance your content strategy more and more as time goes on. You will not only have your data to rely on but also actual customers suggestions that in some cases data can overlook. Don’t let small issues pile up too much. Although a minor mistake may not be too detrimental to the overall user experience, too many of them can cause problems. A customer might just leave never to return again. Example of a customer feedback survey. This might be the most obvious way of gathering the much needed customer feedback for yourself. Keep your surveys short and concise. No one wants to spend 30min answering your questions. The longer the survey the less patience the customer will have. Open ended questions first! Let the customer express themselves in their own words. Make them easily accessible. Not many people will want to navigate through multiple pages to find your survey. It needs to be easy to reach. 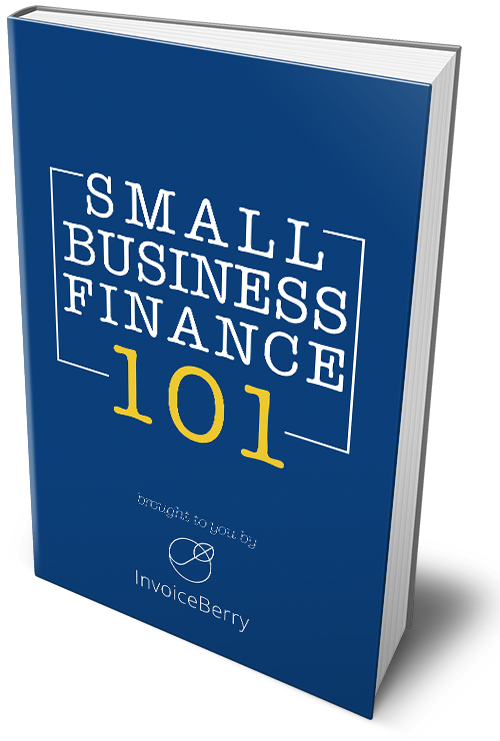 Invoice Berry has an easy to access contact form. Very straightforward way of acquiring some insight into the user experience. If there is anything wrong with the user experience, or content itself, this gives the reader an easy to reach outlet that will grant you some feedback. A good place for a feedback box or a contact box would be somewhere on homepage, that doesn’t interfere with the overall content flow. This might be the very bottom of the page but again, should always be easily accessible. Don’t make reporting issues a problem to the user. Don’t be afraid to reach out to the customer yourself. Not everyone will be inclined to spend time on their own to disclose their concerns. About 96% of the customers don’t complain, so make sure you try and make contact on your own terms. This builds a great business – customer relationship. Listening to the people helps establish a good rapport and they will be more inclined to do interact with you when they know you’re listening to them. With all this in mind, the last thing I want you to take away is that content development is an extension of your brand. You want to stay consistent with what your brand is about and what it stands for. Setting yourself apart is essential in today’s globalized society; well developed content will make you stand out and enhance your image. Content development can be an everlasting thing that will continue to attract attention to your business and your brand. Consider this – content that is well created will have meaning to readers for years to come. This is not a fleeting billboard or a TV commercial that gets replaced every few months. Content has a lengthy influence lifespan that will continue to build your brand’s image and generate traffic for the foreseeable future.